After a nightmare November, champion AEK returned to winning ways on Sunday beating Xanthi to climb back into the top four of the Super League, while Panathinaikos snatched a last-minute equalizer at Aris and Atromitos dropped points at struggling Apollon Smyrnis. PAOK and Olympiakos are in action on Monday. AEK shook off elimination from Europe and last month’s league results that had brought it down to seventh at the table to defeat Xanthi 2-0 at the Olympic Stadium, goals coming from Ezequiel Ponce and Marko Livaja. AEK is now fourth on 20 points, nine behind leader PAOK that has a game in hand. Second-placed Atromitos could not beat Apollon away on Saturday, drawing 1-1 to reach 25 points, two more than third Olympiakos. Aris and Panathinaikos shared an eventful 1-1 draw in Thessaloniki, in a game of three penalties: Aris earned two spot kicks in the first 15 minutes at the Kleanthis Vikelidis Stadium, with Bruno Gama having his saved by former Aris keeper Sokratis Dioudis and Hamza Younes scoring the opening goal of the game. The Greens were reduced to 10 men on the 89th due to the second yellow card shown to Federico Macheda, but they earned a penalty of their own that Tasos Hatziyiovanis converted into the equalizer in injury time. 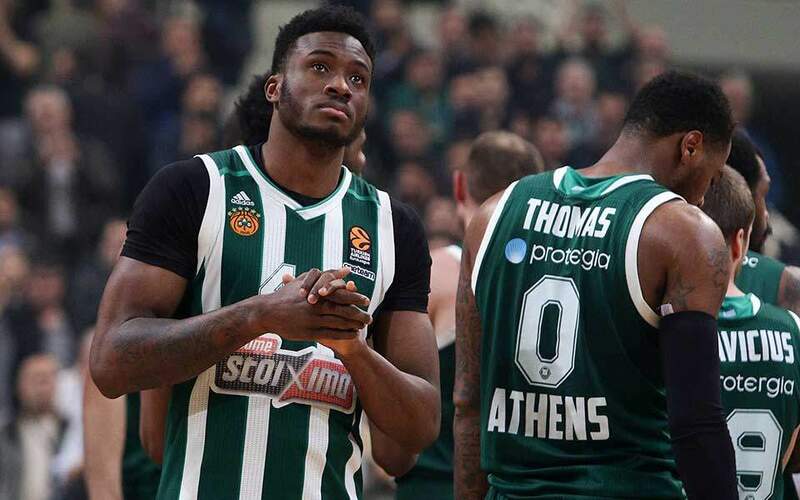 Panathinaikos and Aris are joint fifth on 19 points. 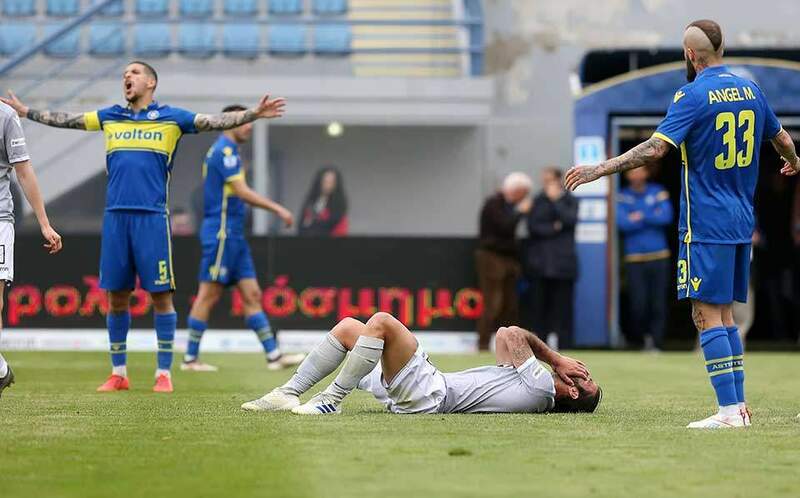 Notably Panathinaikos had also snatched a 1-1 draw through an injury-time penalty kick at Tripolis a few weeks ago, when Savva Pantelidis was the coach at local Asteras. Now Pantelidis is the Aris manager, and so a déjà vu unfold in front of his eyes. In other weekend games Larissa thrashed 10-man Panionios 4-2, Asteras defeated Levadiakos 2-0 away and PAS Giannina drew 1-1 with OFI Crete. On Monday PAOK visits Lamia and Olympiakos hosts Panetolikos.